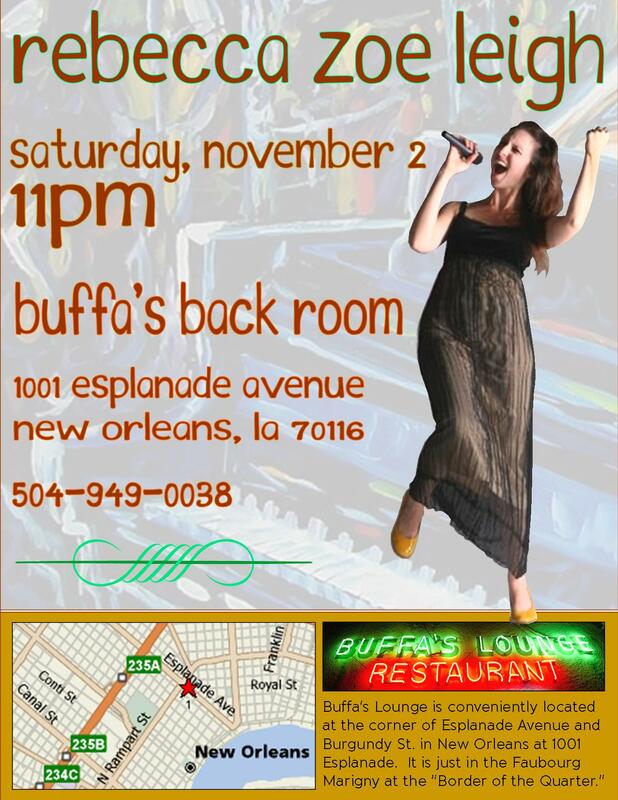 Saturday, November 2nd (11pm) at Buffa’s Back Room in the Marigny (Esplanade and Burgundy St.)! Wednesday, October 16th (8pm) at BJ’s, 4301 Burgundy in the Bywater. I’ll be the featured musical guest at a music and poetry series here! 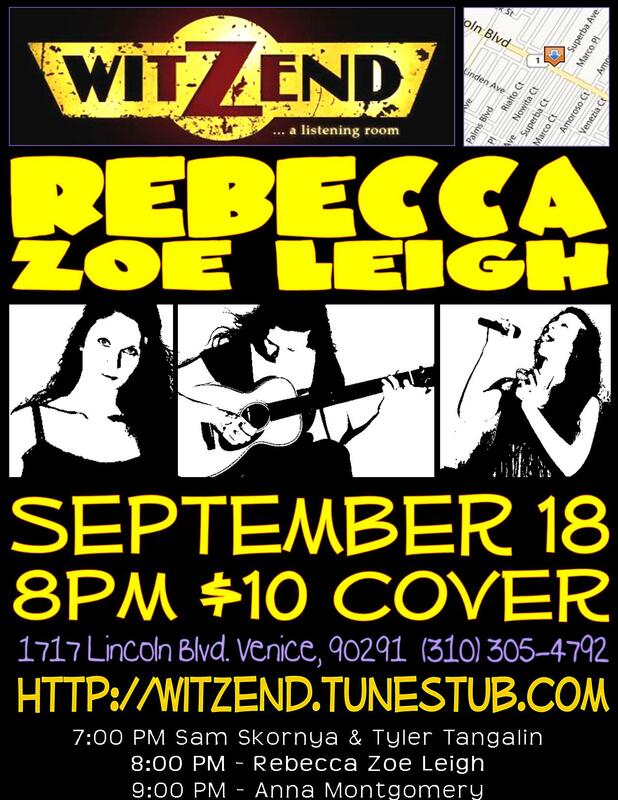 Wednesday, September 18 (8pm) Back at the WitZend in Venice. $10 cover. 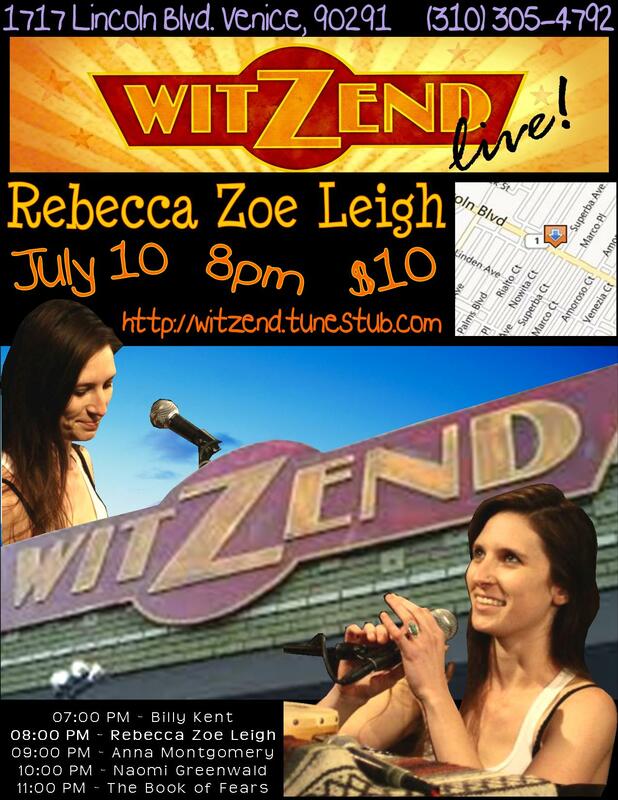 This will sort of be a send-off show, before I make my way to New Orleans for a permanent move. Tyler Tangalin will also be doing his send-off set, before he moves to the UK! He plays at 7pm with Sam Skornya. I’ll be on at 8pm, and then Anna Montgomery will be doing a set at 9pm, and I’ll be singing with her on her amazing songs. Wednesday, August 21 (6:30pm – 8:30pm) Performing jazz standards at a conference in Fort Wayne, Indiana! (Private event). Cool, huh? Friday, June 21st (6-8PM) I’m back at the Renaissance Hotel near LAX! FREE show! 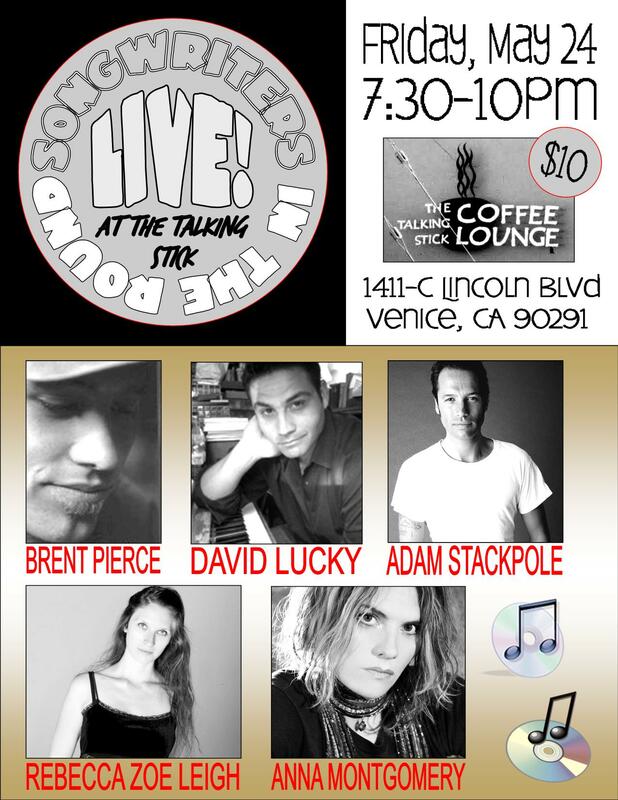 Friday, May 24th (7:30-10PM) The Talking Stick Coffee Lounge in Venice. This night will be so much fun! I’m presenting a Songwriter in the Round night with Anna Montgomery, David Lucky, Brent Pierce and Adam Stackpole. 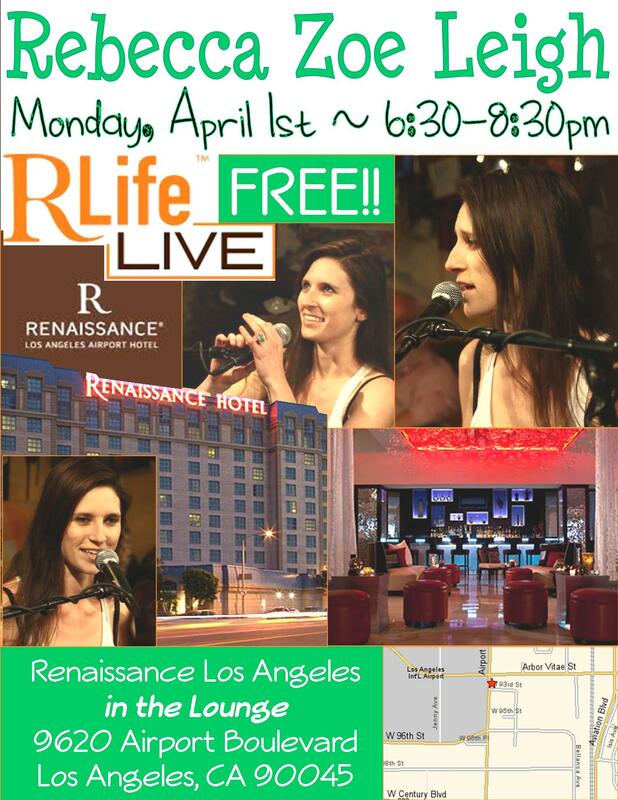 Monday, April 1st (6:30pm – 8:30PM) I’m back at the Renaissance Hotel near LAX. FREE SHOW! 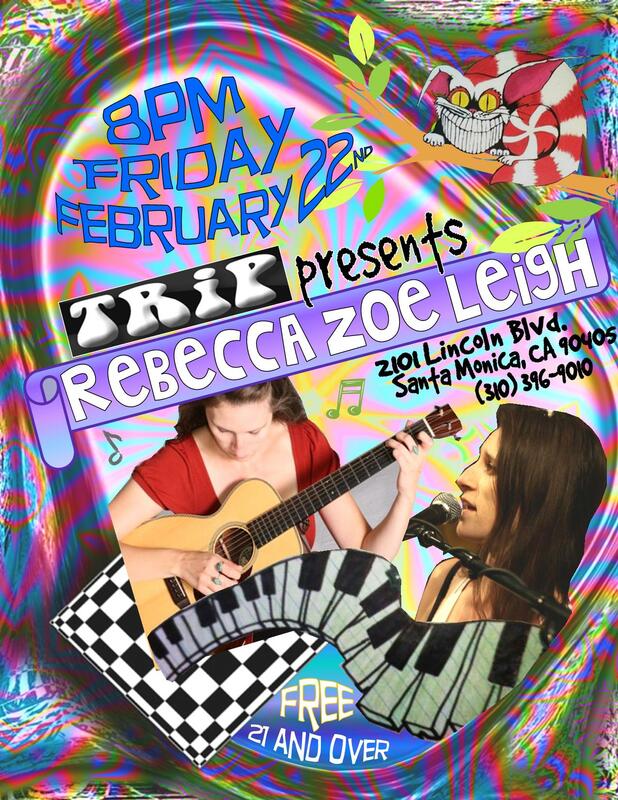 Friday, February 22nd, 2013 (8PM) – At the TRiP Bar in Santa Monica. 21+. 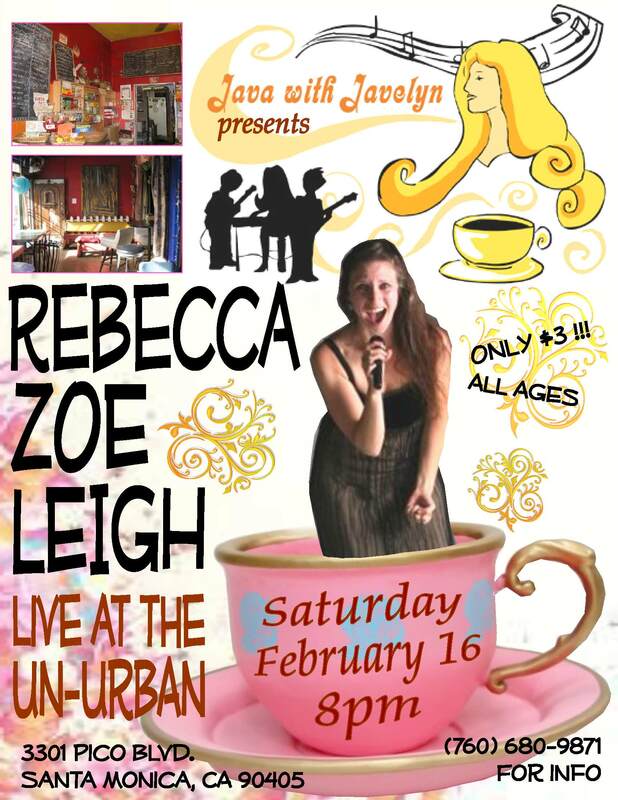 Saturday, February 16th, 2013 (7:30PM) – Short set at the Java w. Javelyn show at the UnUrban Coffee House in Santa Monica. 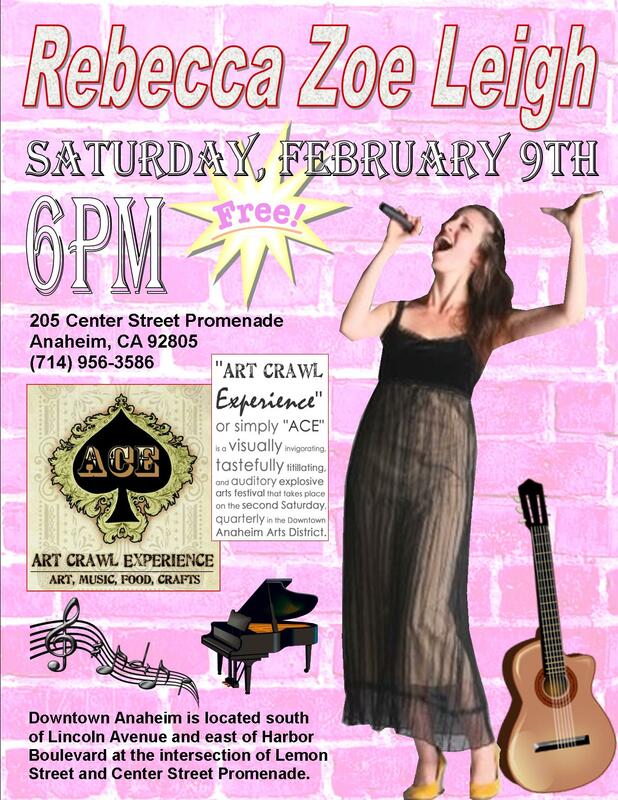 Saturday, February 9th, 2013 (6PM) – At the Art Crawl Experience in Downtown Anaheim! 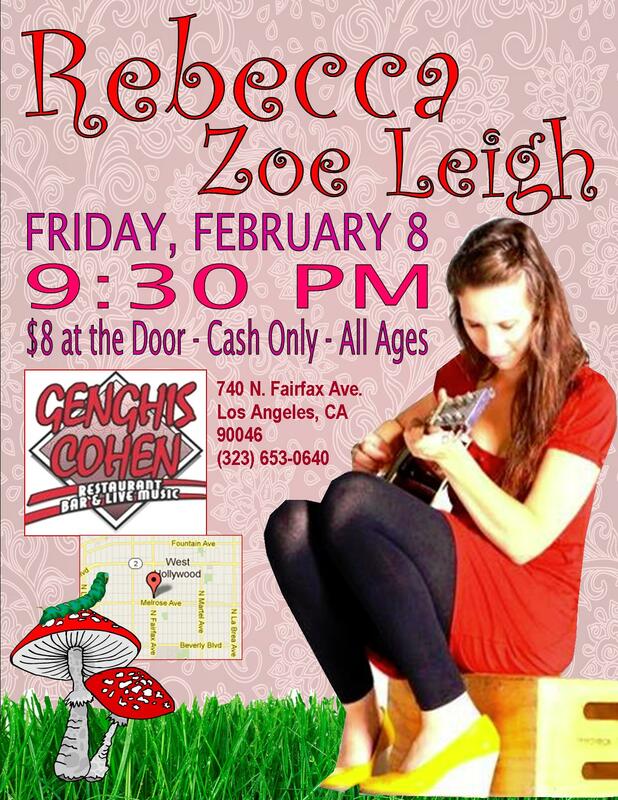 Friday, February 8th, 2013 (9:30PM) – Genghis Cohen! 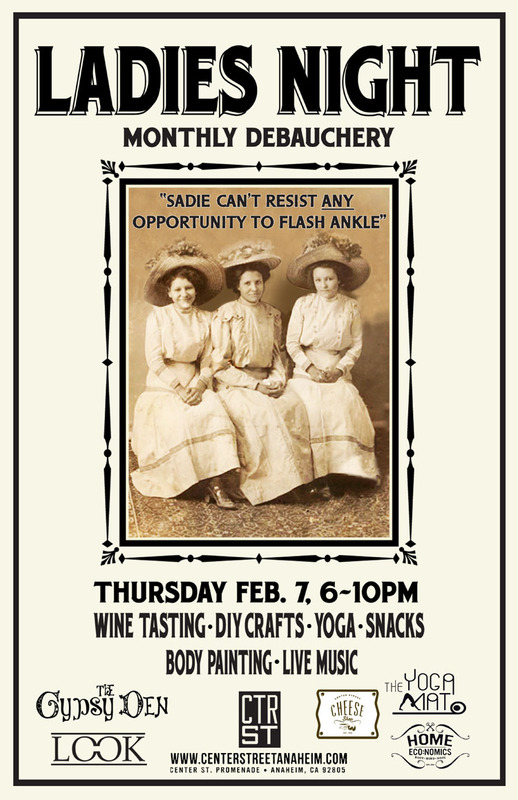 Thursday, February 7th, 2013 (6-10PM) – Ladies’ Night in Downtown Anaheim! 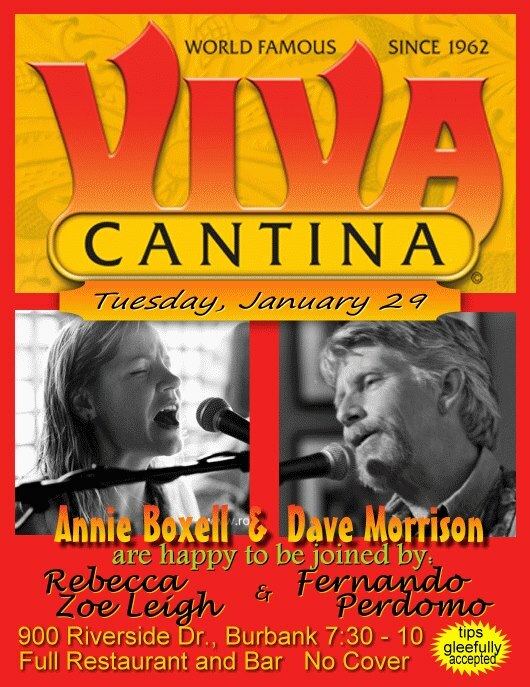 Tuesday, January 29th, 2013 (7-10PM) – Opening for Dave Morrison at Viva Cantina in Burbank. Thursday, January 24th, 2013 (5-8PM) – Private Party in Torrance… playing with Paula Fong! Friday, January 18th, 2013 (8-10PM) – Renaissance Hotel (near LAX). 9620 Airport Boulevard Los Angeles, CA 90045, in the lounge. All ages, FREE. Thursday, January 17th, 2013 (7PM) – Back to The Voodoo Lounge at the House of Blues (on Sunset)! $10 cover, all ages! To purchase tix, CLICK HERE! 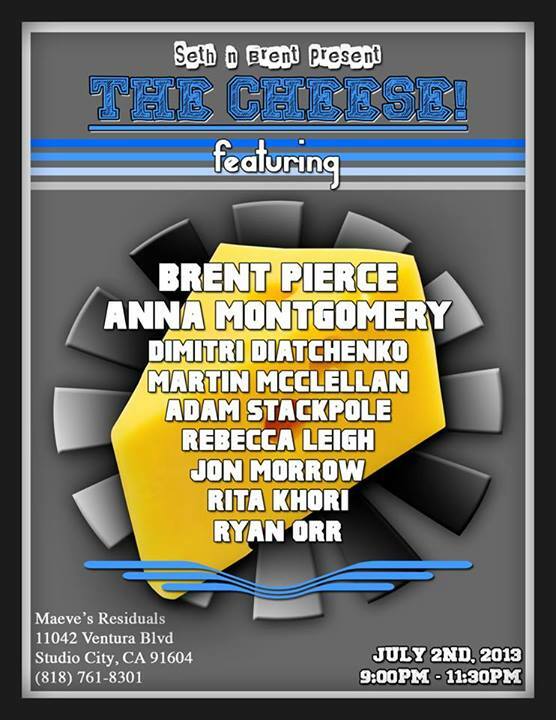 Sunday, January 6th, 2013 (10PM) – Three Clubs in Hollywood (on Vine, near Santa Monica). $5 cover. 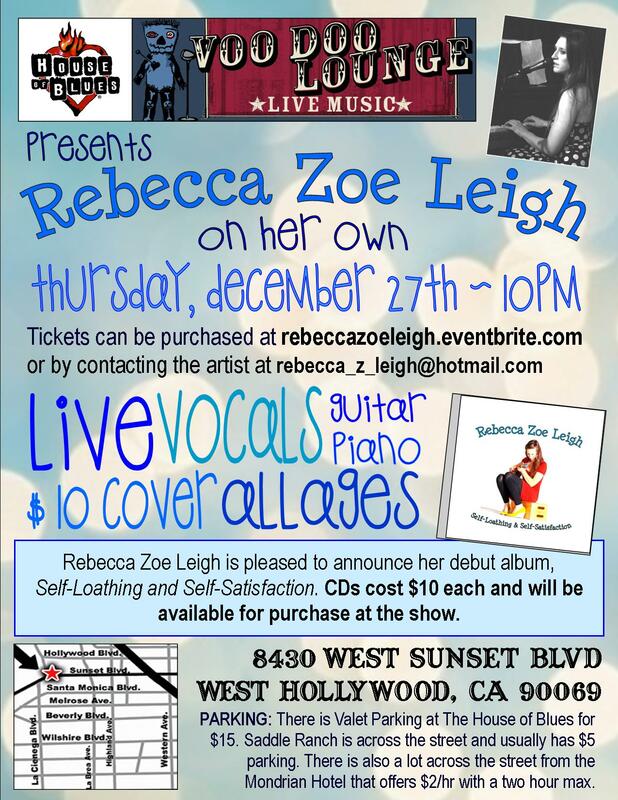 Thursday, December 27th, 2013 (10PM) – Voodoo Lounge at the House of Blues on the Sunset Strip! 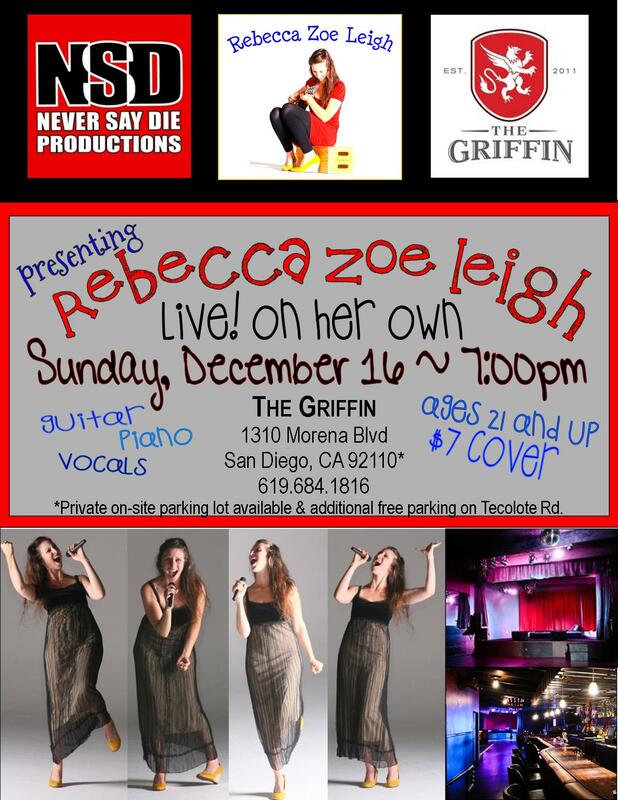 $10 cover, all ages…To purchase tix, CLICK HERE! 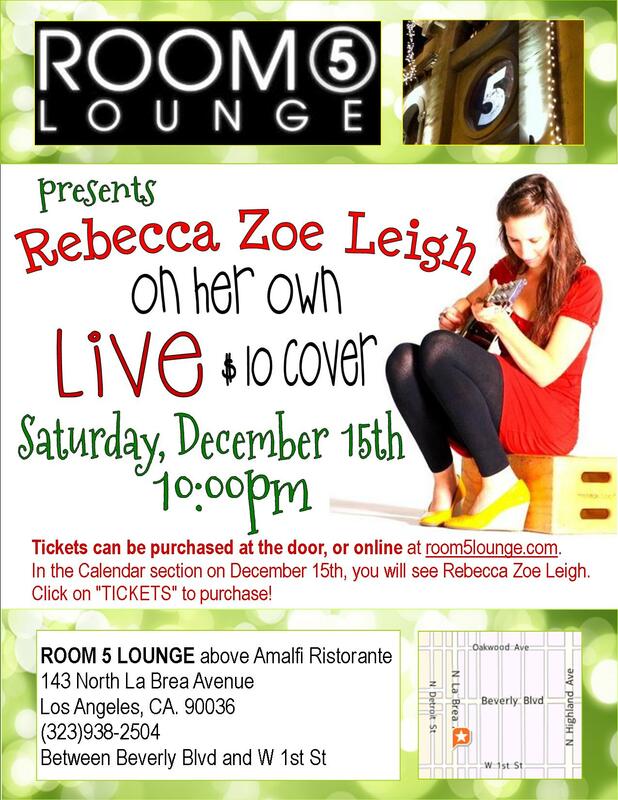 Saturday, December 15th, 2013 (10PM) – Room 5, Hollywood. $10 cover. In the past couple years, I’ve also performed at the M Bar (Hollywood), The Gardenia Supper Club (Hollywood), the Talking Stick (in Venice), Sofia’s at the Hotel Edison (Manhattan), and numerous clubs and venues in New Orleans. While I’ve performed with many musical groups and acts, I’ve been a full-time member of Tracy Newman and the Reinforcements since the beginning of 2010, and have performed with her band all over California (Laguna Beach, Ventura, Santa Barbara, San Luis Obispo, Atascadero, Big Sur, Santa Cruz, Niles, Berkeley, Folsom), Arizona (Prescott, Phoenix, Tucson), New Mexico (Albuquerque), Texas (Houston), South Florida (Arcadia, Port Charlotte), and over 50 venues in the Los Angeles area.